Where is the server located, and what client version is it running on? Our NA server is hosted in Canada, and the EU server is hosted in France. The client is based upon version 2100 in Korea. When will you guys release awakening? Awakening, level 60, PRI-PEN and Valencia will be released on the 11th of January. How does the Bad Luck Protection work? The bad luck protection works by monitoring your kills of mobs that drop certain items. Once you have killed enough of that mob without the item dropping, the system will guarantee the drop for you. The amount of kills is stored between restarts, so you don't have to worry about missing out because of server maintenance. Are pearls free on this server? Yes. Pearl boxes will drop from in-game activities such as Gathering and killing monsters. These boxes will give you a random amount of pearls up to the rare maximum of 11500 per box! There is a limit on how many boxes you can achieve per Node each day. Once this limit has been reached, you will be notified and you will have to move to a different region in order to get more pearl boxes. I already have a copy of Black Desert Online (e.g. NA/EU) installed on my computer, can I use it to play Crimson Desert Online without downloading the whole client again? If you already have the KR version of Black Desert Online installed, you can simply select the installation folder in our launcher, and it will replace any incorrect or missing files. This will save significant time, but primarily only works for the Korean version. What are the rates of this server? Our drop rates are roughly 5x compared to retail. EXP for leveling, life skills, horses and fitness are also 5x. 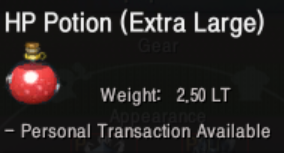 Are the enhancement rates the same as on retail? Our enhancement rates are higher here than on retail. In addition, our failstacks also count for more so the system is less unpredictable. 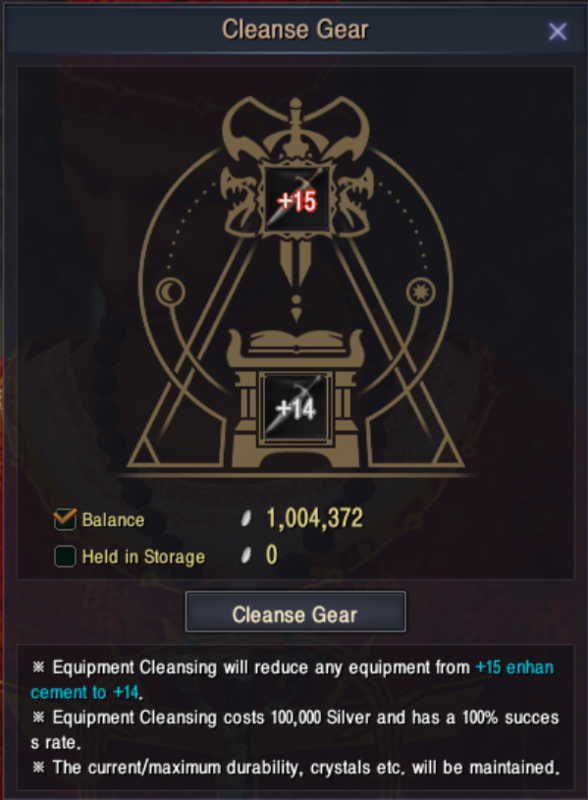 Does Cleansing gear work on this server? 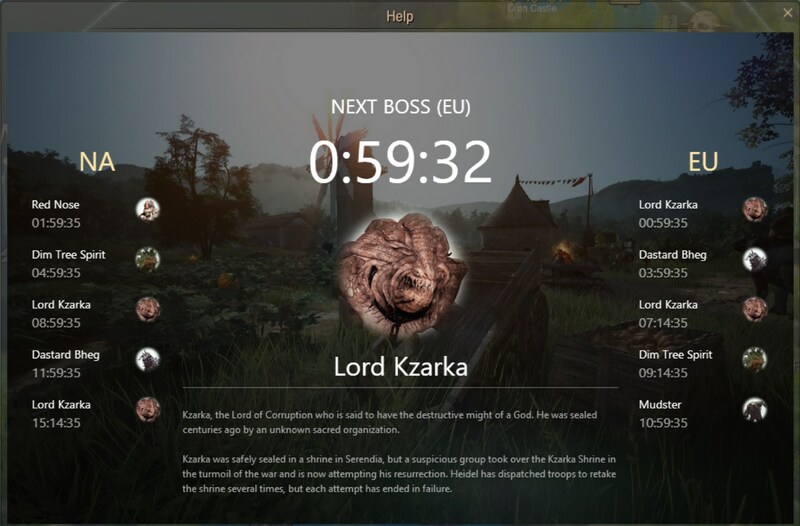 Does the server have a boss timer? What will the progressive release look like? The server is initially launching with Calpheon, Balenos, Serendia, and Mediah enabled. The level cap will be 55 and the highest level of enhancement will be +15. All classes except Archer will be unlocked. Then the server will progressively release content shortly after. We don't want people to sit at hard-cap and get bored, so new content will never be far away. How does the global chat work on this server? The global chat utilizes a language based channel system with the following commands: /channel show - Lists all the available language channels and their corresponding number. /channel join (number) - Joins you in the specified language channel. Currently, switching channels has to be done through the character selection menu. You can get there from within the game, by opening the menu, selecting "Disconnect", then you click "Character Selection". Once you get there, select "Server Selection" in the bottom right corner. There you can select more channels. Is there Night Vendor (Patrigio) on the server? Patrigio will be disabled for the initial release. We will be introducing him as a part of our progressive release. Do we have the Caphras enhancement system here? Yes. We have Caphras Enchantment implemented. Are there Node Wars on this server? Node Wars are not going to be enabled for the initial phase of the server. We are planning on making them a custom experience, with multiple changes from the original. Can I use character presets from other servers? We have implemented a parser in our client which automatically converts remastered templates to a format which Crimson Desert Online is able to read, allowing you to use templates, both old and new, on Crimson Desert Online. To load and use a normal preset from another server, have the customization file saved in your local Documents folder, and you will then be able to load the preset in the Character Creator. The beauty album has not been implemented, although this might change in the future. Is the the trading system (regular, Imperial and/or Player-To-Player) implemented here? How are the prices in pearl shop, and can I donate to get more pearls? We use the Korean version of the pearl shop which means all the pearl prices are lowered. As an example, a single pet costs only 220 pearls here compared to 900-1100 pearls on NA. You can subscribe to supporter packs for some convenience benefits. You will be able to donate for Crimson Coins the prices can be viewed in-game. Will the 100 Artisan Memory cap a day also affect how many pearl items you can list at the marketplace? You will not be able to list pearl items on the marketplace as pearls will be common for everyone. Why can't I use Merv's Palette when I have a Value Pack? Merv's Palette is not a part of the Value Pack in the Korean version of the client. However, there are several packages in the pearl shop where you get both. Will you only adopt what is patched on KR? No. We also will employ our own custom systems and additions to the game. Is the respawn rate of Elites the same as on retail? Nope! Elites usually respawn between 10-30 minutes on retail, but respawn in 5-6 minutes here. In addition to the regular seasonal events, we will be working on creating our own unique scripted events. Our GMs will also be hosting some minor events from time to time! I just started the game and the tutorial tells me to press W but I can’t move at all. What do I do? Your keybinds most likely have been removed or have not been set by the game for some reason. To fix this, open your Settings and reset all your keybinds to default. My horse got stuck and won’t move only by calling it and even then I’m not able to ride away with it. What can I do? If your mount gets stuck and won’t move from where it stands no matter what, you should find the nearest stable manager, click on your mount's icon in the stable screen and then click "Remote Collection". Upon taking it out, you will be able to ride it again. All the items on my marketplace are gone! The marketplaces are currently separated on a channel-by-channel basis. If you are missing items it is most likely because you listed them on a different channel. Simply swap to the original channel and they will be there. I’ve found a bugged quest or gameplay mechanic which I am sure is not working as intended. What should I do? We encourage players to fully utilize our bug tracker located on our website at https://crimsondesert.online/bug-tracker - Here you can directly report issues to our development team to ensure that those pesky bugs are squashed for good! What are the premium characters exactly? Premium Characters are "trial" characters that start at level 60 with full softcap gear, however they are limited to Battle Arena, Arena of Arsha, Savage Rift, and Red Battlefield. This allows you to test different classes before committing to any given class. Questing, collecting challenge rewards, the usage of Party Finder and maids, as well as other methods of interacting with the core game are all disabled for these characters. Are client modifications such as clothing mods allowed? Our ToS state that you may not make any modification to the game that will give you an advantage. A player is verbally harassing me in-game, what do I do? Initially we advise the player to close all lines of communication by utilizing the block feature, however If the harasser by-passes the block feature and makes contact on an alternate character, we advise to--again block that character, then message one of our Game Masters about Ongoing Harassment, and include the phrase, as well as the offending player's name, the exact phrase that they used to harass you and that they bypassed the block feature to do so. How do I report vulgar chat? You can report players by clicking on their name in chat and selecting "Report Chat Ban"
Another player is killing me each time I resurrect, please can you take action against them? This behaviour is not against our server rules. Luckily, you can utilize the Resurrect at nearest Node or City feature on death to prevent being killed each time you resurrect. I’ve just seen another player using a third-party program to gain an unfair advantage, what do I do? We have a zero-tolerance policy on players who use third-party programs to gain an unfair advantage over players - If you see a player hacking in any form, please send a report to a Game Master using Discord and the matter will be investigated. Any supporting evidence you can provide is helpful to us. Players who are caught / found to be hacking or using third-party programs will be banned permanently from the server. Will you separately change/nerf/buff classes that need it? We will in general use the Korean patches as a baseline and adjust where necessary. Why no remaster at release? Adding the remastered version of the game is an extremely lengthy process that requires a lot of manual work from our developers. A small branch of our team is currently working on it, but we are focusing most of our resources on stabilizing the current content before implementing new content. We are aiming to have a working test version of remastered by February. How do I use /home? First you have to set a location for your Home with /sethome. After this location has been set, you can use /home to teleport there. Will you be able to use the /home command to escape from PVP? The /home command cannot be used under the following circumstances: If you are above 100% weight limit, if you are on a mount or a wagon, if you are carrying a trade pack or if you have recently taken or inflicted damage. Will the supporter bonus let you level up your nodes without energy? The free distant node investment is only for the initial investment of the node which you can do at a range with a Value Pack. How is the Supporter weight expansion delivered? The Supporter weight expansion is delivered to your in-game mail every other week.